Another beautiful day for cycling in the French Alps. Today we tackled two more "local" Annecy cols, the Col de l'Arpettaz and the Col d'Aravis. But first we went to the outdoor market in the Old City, just around the corner from where we're staying. 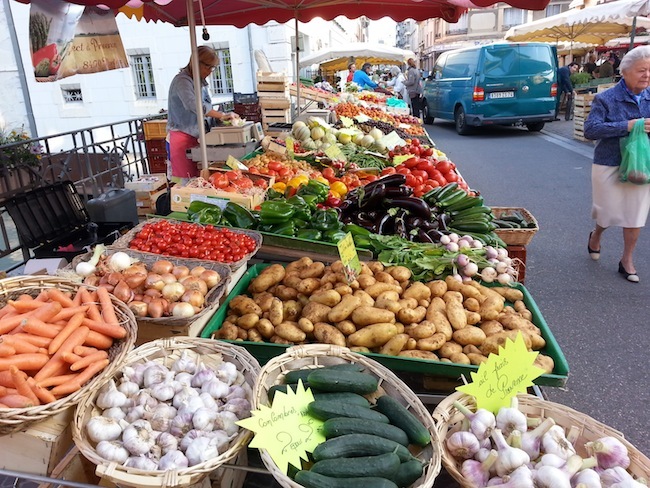 Like most markets in France this one is AMAZING! We bought meats, cheeses, and several varieties of breads and baked goods - our best breakfast yet. After breakfast we headed south in the direction of Ugine for the Col de l'Arpettaz, a narrow road that uses countless switchbacks to ascend the steep canyon wall. Unfortunately we missed our turn and ended up looping around and descending the way we climbed, adding about 10 miles to today's ride (see ride map below). Back in Ugine we stopped for our favorite lunch and had the best pizza yet at Pizza Chez Noel. After lunch we climbed along the beautiful Gorges l'Arley (Arley Gorge) to the quaint town of Flume, and then turned left to climb of the Col d'Arvis. The following photo is the col as we saw it in front of us - fortunately it summits in the valley to the left well below the top of the mountain, but it made for a stunning backdrop as we climbed. 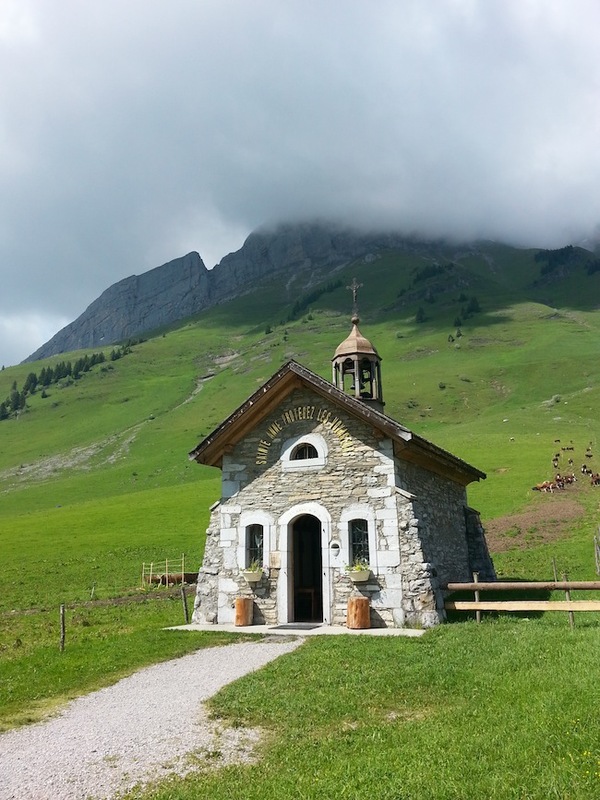 At the top of the col there was the typical restaurant and this quaint little church. 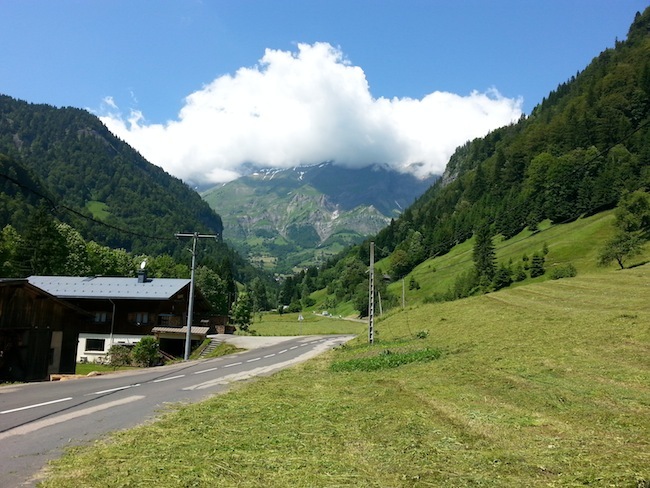 We descended through several quaint towns including the ski town of La Clusaz and Thones, before returning to Annecy via the bike path along the lake. In total we rode just under 80 miles and climbed 7,150 vertical feet, for a cumulative total of 300 miles and 36,500 vertical feet in four days!